Advent Revising is recommended for installation. Shadows do not work on modern cards. Steam version get patched with a new launcher which offers widescreen resolution, V-sync and other graphical settings! XInput controllers can be configured to work by modifying .ini file. Patched, free DLCs for Steam owners (score and comic books). Inside <path-to-game>/Help, delete or rename logo.bmp. Inside <path-to-game>/Movies, delete or rename glyphxlogo.bik and Intro_In.bik. This will not remove the Alienware screen. See Widescreen resolution. Steam version patched with a new launcher which offers widescreen resolution. See Field of view (FOV). Steam version patched with a new launcher which offers FOV setting (experimental). Go to Borderless fullscreen windowed. Trilinear only supported in MyDefault.ini (UseTrilinear=). Advent Revising turns this feature on. Steam version patched with a new launcher which offers trilinear setting. See Vertical sync (Vsync). Steam version patched with a new launcher which offers Vsync. Find FullscreenViewportX= and FullscreenViewportY= lines. Change the values to your screen resolution and save. 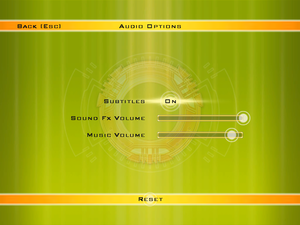 Output always has letterboxing (disabling this stretches the output). Change =MoveForward to =MoveForward | OnRelease FOV 91 (replace 91 with the FOV you want). Save your changes and close the file. 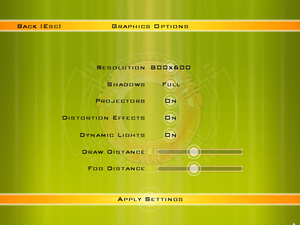 The FOV will be applied as soon as you move forwards. Find the line StartupFullscreen=, change it to False and save. Find the line UseVSync=, change it to True and save. Negative mouse acceleration is present for the X-axis. 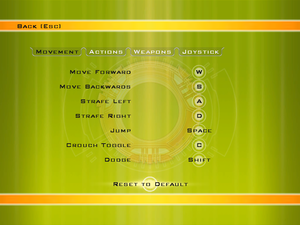 The game doesn't support Xbox 360 controller natively, but it can be configured to work in this game. Configure controller keys in Control options. Open MyDefUser.ini (be sure to back up this file if something goes wrong during the process). Under [Engine.Input] (if you can't find the line, insert it), add the values below for the analog sticks and save. After doing this procedure, don't go to Control settings because even if nothing is touched, it will cause troubles with camera. If you do have to go there, go to MyDefUser.ini and leave JoyV and JoyZ empty. Use Tradução de Advent Rising para Português Brasil. 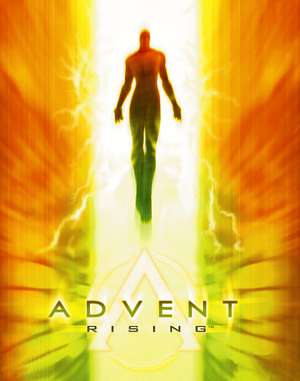 Use GameHunter Team: Advent Rising. A Novint Falcon version was announced (titled Ascension Reborn) but was never released. The game sometimes crashes, mostly at the beginning when entering the hangar. Regardless of the crash, the game will likely be saved before the crash so you don't lose the progress and likely will not crash. If it still does, try doing something that will break the cycle (like going to the menu) and if it doesn't, then reinstall the game or install outside Program Files. The game lacks any shadows on Nvidia based cards and possibly newer AMD cards. According to this post here shadows will display on an ATI 9800 Pro card. 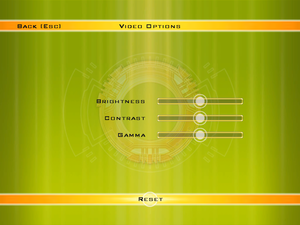 Set up the camera settings in the game menu. Maybe fiddle with JoyY and JoyX strings in MyDefUser.ini (or with other Joy* settings) if you want to play with a controller or with MouseY and MouseX if you don't. ↑ 2.0 2.1 File/folder structure within this directory reflects the path(s) listed for Windows and/or Steam game data (use Wine regedit to access Windows registry paths). Games with Steam Cloud support may store data in ~/.steam/steam/userdata/<user-id>/3800/ in addition to or instead of this directory. The app ID (3800) may differ in some cases. Treat backslashes as forward slashes. See the glossary page for details. This page was last edited on 10 April 2019, at 07:14.